Degenkolb’s newest Principal, Devon Lumbard, began his career in Portland. Originally from California, Devon was drawn to the Pacific Northwest’s countless outdoor activities and serene countryside. 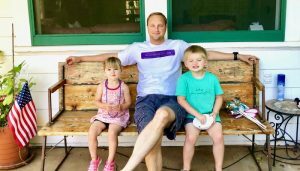 After enjoying the Oregon lifestyle for 10 years, professional and personal circumstances led him back to California and Degenkolb’s Bay Area operations. 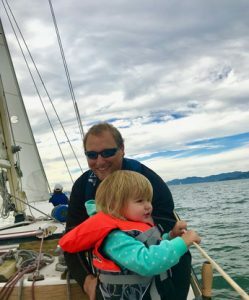 Living in Grass Valley, Devon would commute to the Bay Area where he stayed on a sailboat during the week before heading back to his family each weekend. In that time, Devon enjoyed working with numerous Degenkolb Principals and forging strong relationships. With budding opportunities and increased business in Sacramento, Devon leapt at the opportunity to work closer to home and establish a new Degenkolb office. The Sacramento office opened its doors in May 2018. Led by Devon, Degenkolb has started building local relationships and expanding clientele in the Central Valley region. He is passionate about bringing the culture and expertise of the firm to the new region. 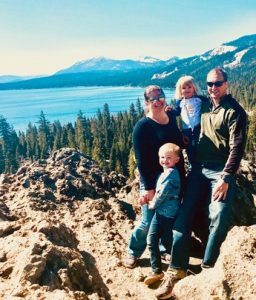 Devon’s practice is primarily focused on healthcare community work and forensic engineering and he has started working on expanding those practice areas in Sacramento. He is currently leading a small but growing group of engineers as they work on more than $1M in Sacramento based healthcare and forensics work. He is also quickly establishing roots in the community, joining the River City Rowing Club and training with the crew for the 2018 Masters National Championships and hopefully the 2018 World Rowing Masters Regatta. For more information on the Sacramento Office, contact Devon Lumbard at dlumbard@degenkolb.com or 510.250.1260.